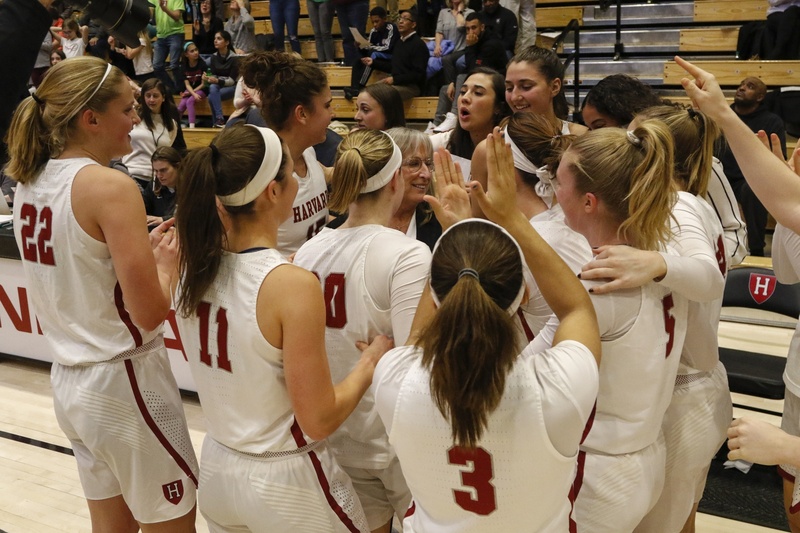 Though she had to wait a week longer for it than she would have liked to, head coach Kathy Delaney-Smith’s 600th win proved to be a comfortable one. A barrage of early scoring by sophomore forward Rachel Levy, making just her second career start, gave Harvard an early lead over Cornell, and the Crimson never looked back en route to a 80-38 win at Lavieties Pavilion. 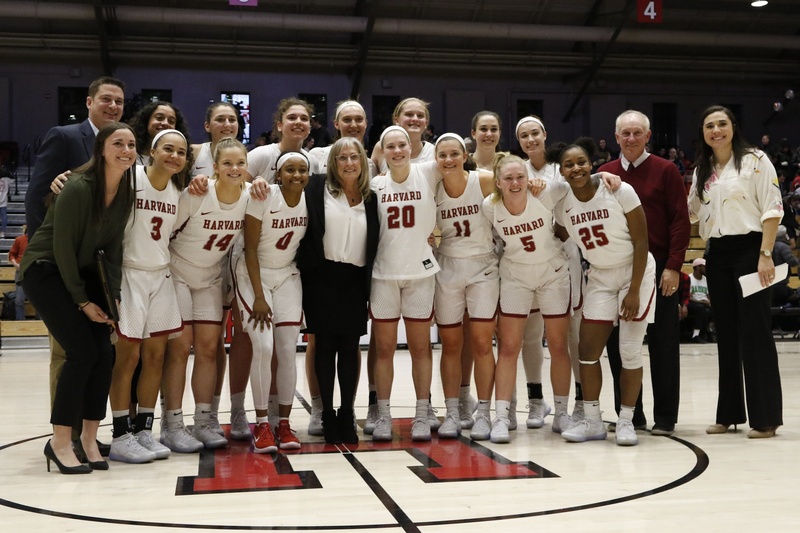 Delaney-Smith, in the 37th season of her iconic Harvard coaching career, downplayed the accomplishment but went on to acknowledge its significance. While Delaney-Smith was quick to shift the night’s focus to the team’s performance, Levy emphasized how special her coach’s 600th win was. It was a comprehensive performance by Harvard (15-11, 8-5 Ivy), which locked up the third seed in the Ivy League tournament next weekend in the victory. The Crimson entered the break up 44-13 after dominating on both ends of the court but especially defensively, where it held the Bears’ (11-13, 5-8) unsightly offense to 5-of-25 shooting and forcing 16 turnovers. Unlike at times in its comfortable home victories over Brown and Yale two weekends ago, Harvard kept its foot on the gas pedal in the second half. The Crimson pushed its lead over 40 points in the third quarter and held that 40+ point lead throughout the fourth before eventually winning by 42. After struggling with turnovers last weekend against Penn and Princeton, Harvard took care of the ball much better Friday night, as the Crimson turned the ball over just nine times and finished with a turnover margin of +10. 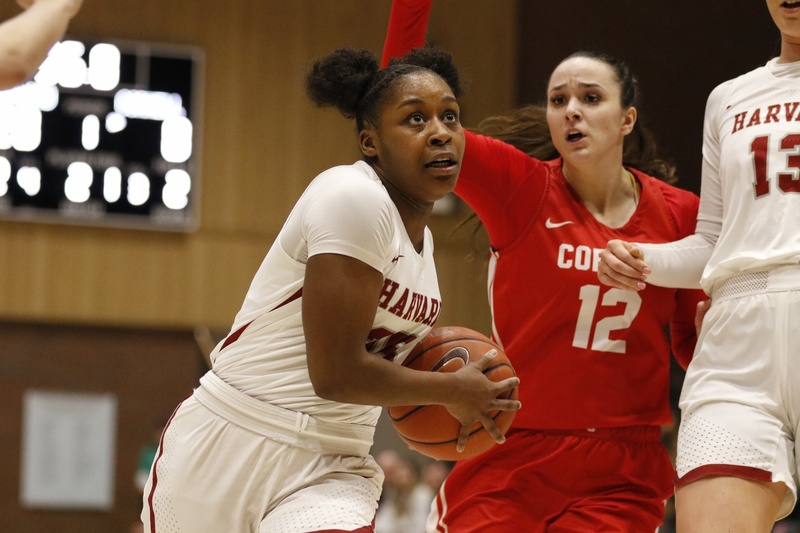 On a night in which Harvard was missing sophomore forward Jadyn Bush, its third leading scorer and leading rebounder, the Crimson showed off its depth. With Bush, who is set to miss Saturday’s game but will likely be back for the Ivy League tournament, out, Harvard’s three other average double-digit scorers — captain guard Madeline Raster, junior guard Katie Benzan, and junior forward Jeannie Boehm — combined for 32 points. Benzan led the team with 17, nine of which came in a hot shooting third quarter. But it was the other — less heralded but still crucial — members of the Crimson’s rotation who bore much of the brunt of the scoring load. Levy, making her first start since a game against Rutgers early in the season, scored 15 points, including 13 in the first half on efficient 5-of-6 shooting, in a team-leading 26 minutes. She was just as active on the defensive end, particularly in the first half, when she racked up three steals and blocked shots on consecutive second quarter possessions, putting an exclamation mark on Harvard’s excellent defensive second quarter, a quarter in which the Crimson forced as many turnovers (10) as Cornell shots. Diminutive senior guards Nani Redford and Sydney Skinner also made the most of their second-to-last career home games, scoring 13 points each. Redford made a number of tricky shots around the basket and also keyed Harvard’s impressive first half defensive performance, earning three of the Crimson’s 10 first half steals and harassing Cornell’s guards into a number of bad decisions. Skinner brought her normal energy on both ends, as the 5’7” guard grabbed six offensive rebounds and added three assists in a tremendous all-around performance. The offensive struggles were nothing new for the Bears, the Ivy League’s lowest scoring team at 57 points per game. Cornell hit just one three on nine attempts, with an end-of-quarter half-court heave that hit the shot clock serving as a good summary of its performance from beyond the arc. Harvard was also excellent defensively against junior forward Laura Bagwell-Katalinich, Cornell’s leading scorer. After putting up a then-career high 25 points in the first meeting between the teams, Bagwell-Katalinich was held to 10 points on 4-of-10 shooting as part of a lethargic overall performance by the Bears. The Crimson will return to action Saturday night at 5:00 against Columbia. With Friday night’s win locking up the third seed for Harvard, the stakes going into Saturday’s game are low, but the Crimson will be seeking to avenge its surprising 10-point loss in Morningside Heights two months ago.